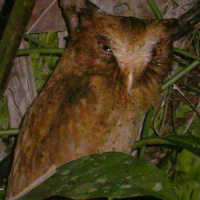 The Serendib Scops Owl is a very small owl with no distinct ear-tufts, but has pseudo ear-tufts that are visible if alarmed. Typical call - Kitulgala, Sri Lanka. CC Craig Robson. Description: The head is uniformly rufous, while the indistinct facial disk is brownish-rufous. Eyes are orange-yellow and each surrounded by a black ring. Eyebrows are whitish. The cere is fleshy-pink and the relatively long bill is ivory-white. Upperparts are rufous brown, spotted blackish overall, with some paler areas around the blackish spots. Wings and tail feathers have rufous outer webs and mostly blackish inner webs. Flight and tail feathers have broad, evenly spaced rufous and blackish bars. Breast is pale rufous with uniformly distributed triangular blackish spots. The belly and undertail-coverts are paler than the breast, and are without spots. Legs are feathered pale rufous to about the middle of the tarsus, with the lower half and toes bare and pinkish white. Claws are ivory-white. Size: Length 16-17cm. Wing length 128-140mm. Tail length 63-66mm. No weight data available. Habits: The Serendib Scops Owl is a secretive bird, roosting during the day mainly at low levels. It starts calling at dusk, but remains at roost until darkness falls. Voice: The song of the male is a series of short, piping, tremulous notes of about 0.3 seconds duration, first slightly rising in pitch, then falling - wuhúwwo. These notes are repeated at intervals of up to 35 seconds. The female song is similar but slightly higher in pitch, and more tremulous. Hunting & Food: This owl feeds mainly on insects such as moths and beetles, hunted from ground level to sub-canopy. 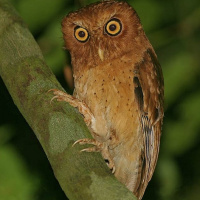 Breeding: The breeding biology of the Serendib Scops Owl is little known. Probably nests in tree cavities such as holes made by woodpeckers or barbets. Habitat: Larger tracts of lowland rainforests from about 30-500m above sea-level. These areas are often secondary forests with dense undergrowth. 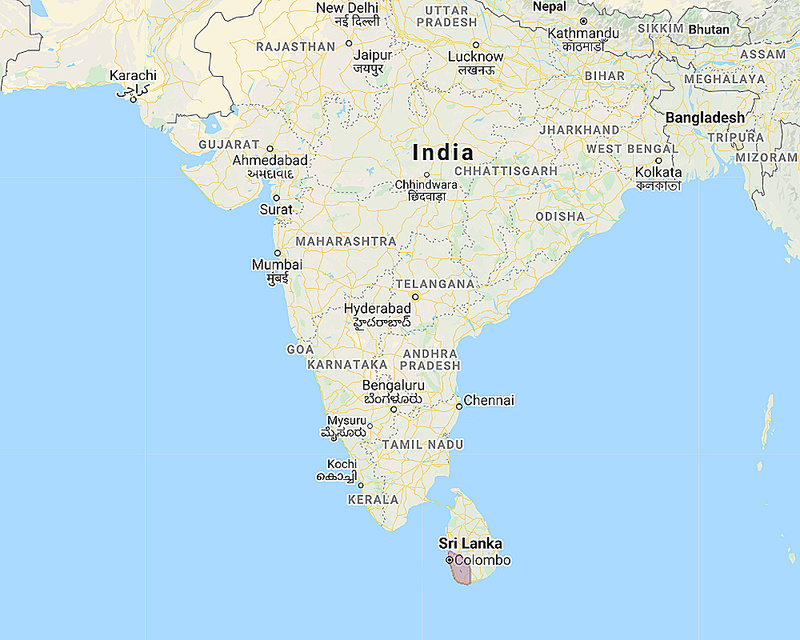 Distribution: Endemic to southwest Sri Lanka. Original Description: Warakagoda & Rasmussen. 2004. Bulletin of the British Ornithologists' Club, 124, No. 2, p. 85-105. Page by Deane Lewis. Last updated 2016-06-02.